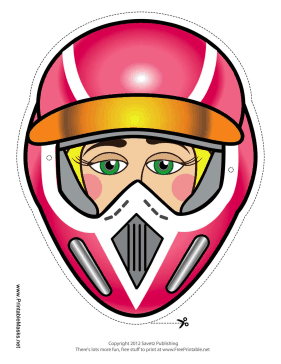 This pink motocross mask covers a cool lady racer's face. This mask will be sure to delight girl motocross fans as they race on their bikes! This mask is free to download and print.